Apple wants to make new iPhone and iPad devices of thinner, lighter and stronger glass- sapphire! Apple is one of manufacturers that produces their smart devices with Gorilla Glass coating, considering the fact that screen is one of the most fragile components on the modern smartphone or tablet devices. However, the company from Cupertino seems to intend to fix the screen fragility by introducing the hard sapphire crystal glass instead of relying on Gorilla Glass against scratch resistance and damages. 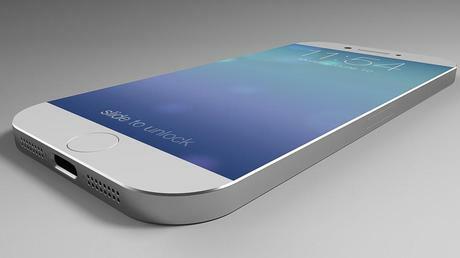 Will Apple Make iPhone 6 of Sapphire Glass? For those who are not aware of that, Gorilla Glass is definitely not unbreakable and there are plenty of devices out there with cracked screens that can testify that! Having this fact in mind, Apple’s next big step is a partnership with GT Advanced Technologies Inc. who specializes in creating sapphire glass surfaces. Apple has signed an agreement with GT Advanced Technologies and the deal is worth $ 578 million, as announced in the last quarterly report for GT Advanced Technologies. The latest iPhone model already uses sapphire crystal in fingerprint reader and camera lens, and with thanks to this agreement Apple will have a reliable supplies of sapphire glass. Agreement with GT Advanced Technologies entails GT purchase and operation over the sapphire glass production equipment that will be installed in a new Apple factory in Arizona. There have been some rumours about introducing a new type of processing called ASF – Advanced Sapphire Furnace. This process will make it possible to produce the sapphire crystal in high quality at lower prices. Stay in Shape with MyTrendyPhone!